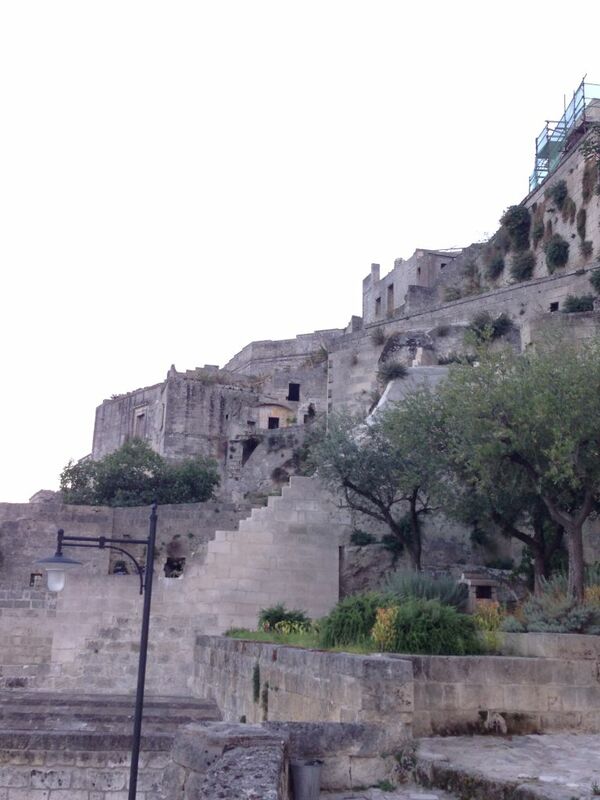 If you are willing to experience a 5 stars holiday in Matera, Hotel Sextantio is your one stop place! 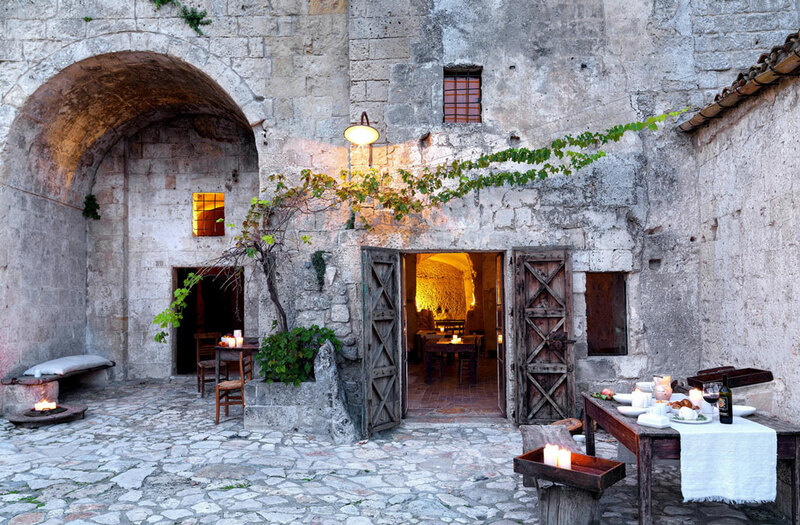 In the last few years, Scattered Hotels (Hotel Diffuso in Italian) is the new trend and Sextantio is a perfect example of this new kind of accomodation. 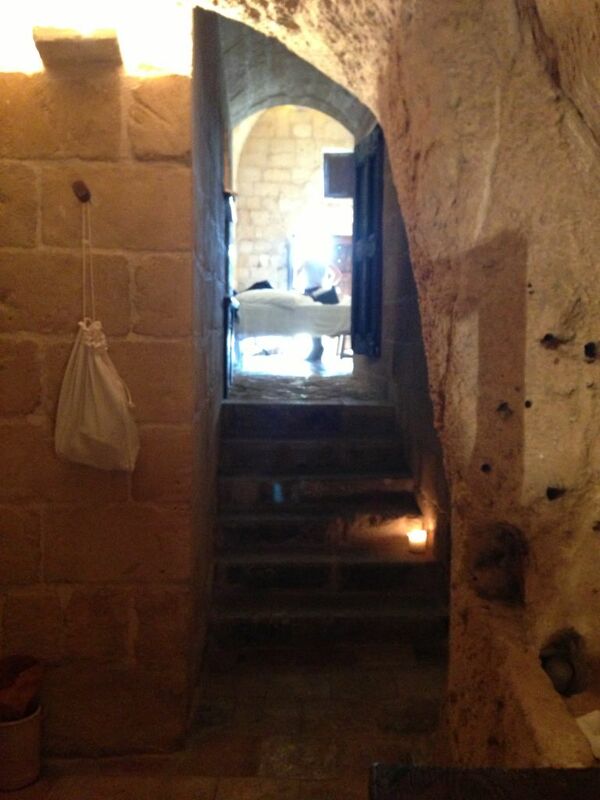 This amazing hotel will give you the possibility to spend some days in a cave, just like people from Matera used to do, but with all the comforts you may need and being cuddled by an excellent staff. Hotel Sextantio is placed in the Sasso Barisano and its location is convenient also if you arrive by car, because just 300 mts away there is a free parking in Via Madonna delle Virtù, and another one in Piazza San Pietro Caveoso (500 mts). The hotel is the result of the total renovation of an area, formerly inhabited by people and their animals. The restoration has been conservative, so you can still see the original doors and other elements like tables, table clothes and other furniture. The key of our bedroom was a “huge” key from a former stable! The first room you will enter is probably the lobby, which has been obtained by a former cell of a Benedectine Monastery. 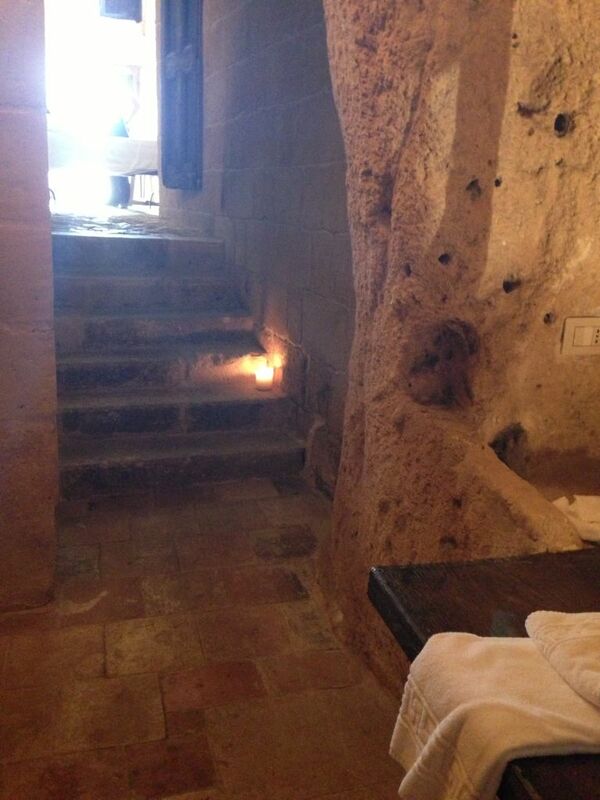 Being excavated in the rock, you’ll get the first idea of how the whole hotel is “designed”. 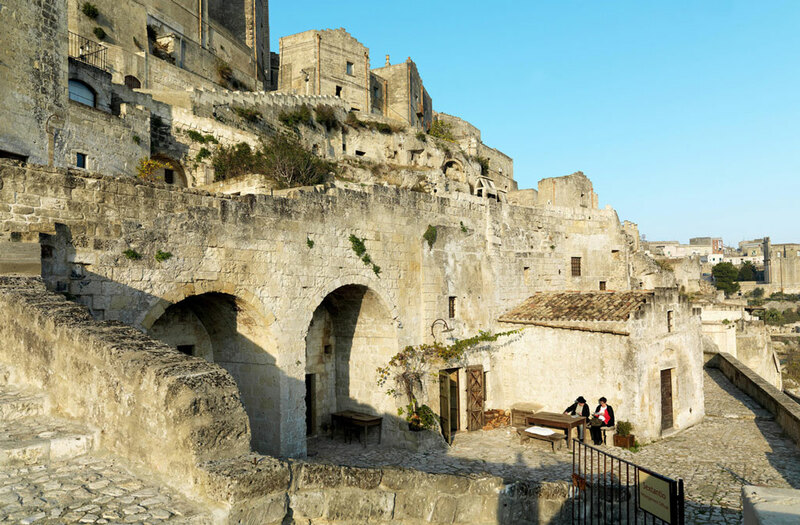 All the rooms, anyway are originally excavated in the rock and they show their orignal shape: being a UNESCO heritage site and protected by the commission for the cultural heritage, it’s not possible to structurally modify the rooms. 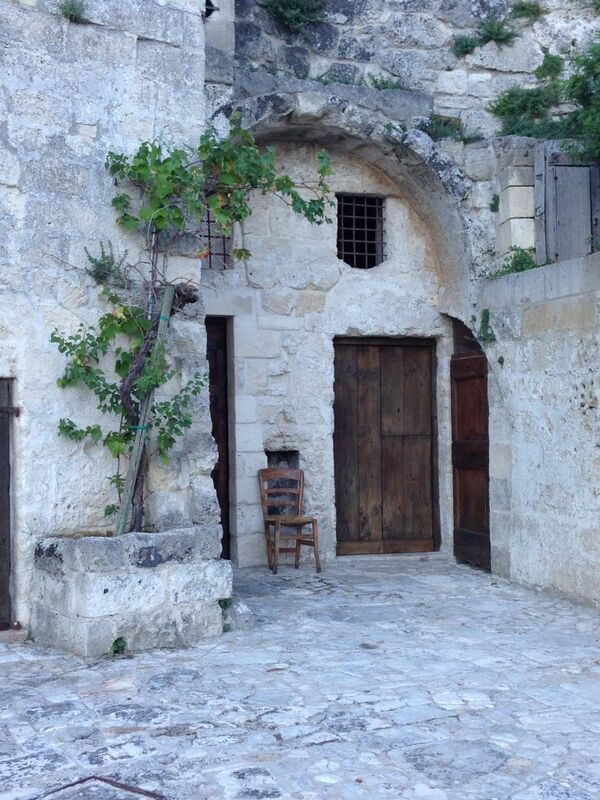 So, all the rooms are open space as they used to be in the past. 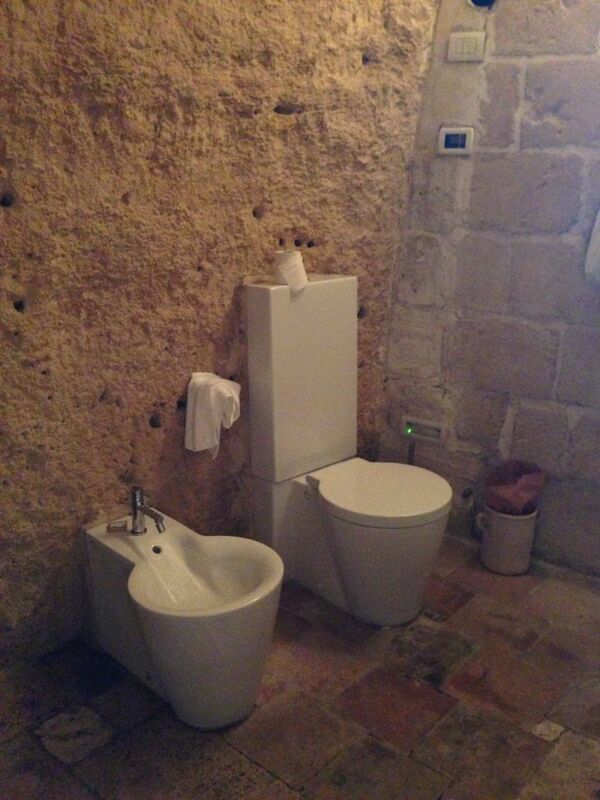 No doors in the bathroom, so we recommend to share your room with your partner or somebody you do not feel ashamed! Sometimes the bathtub is IN the bedroom. 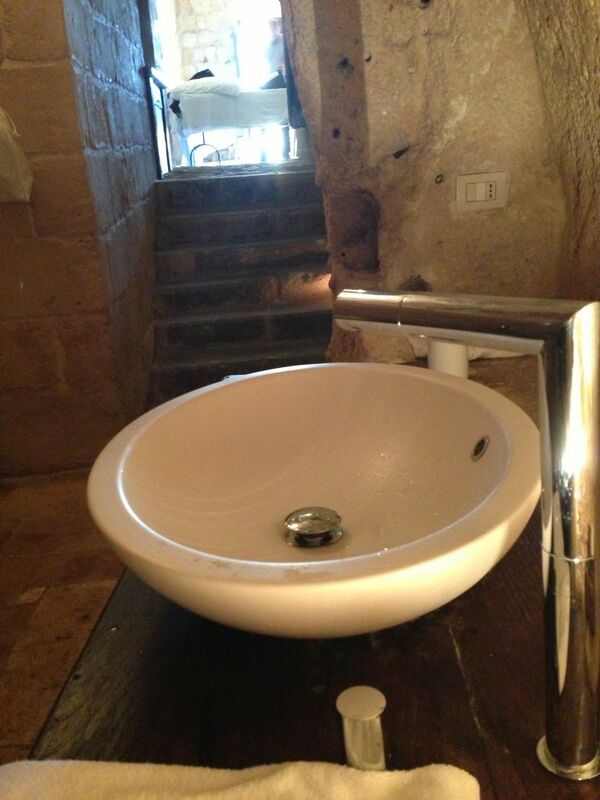 After all, this is one of the aspects, that make this hotel really unique and this is your chance to live as Materans did! 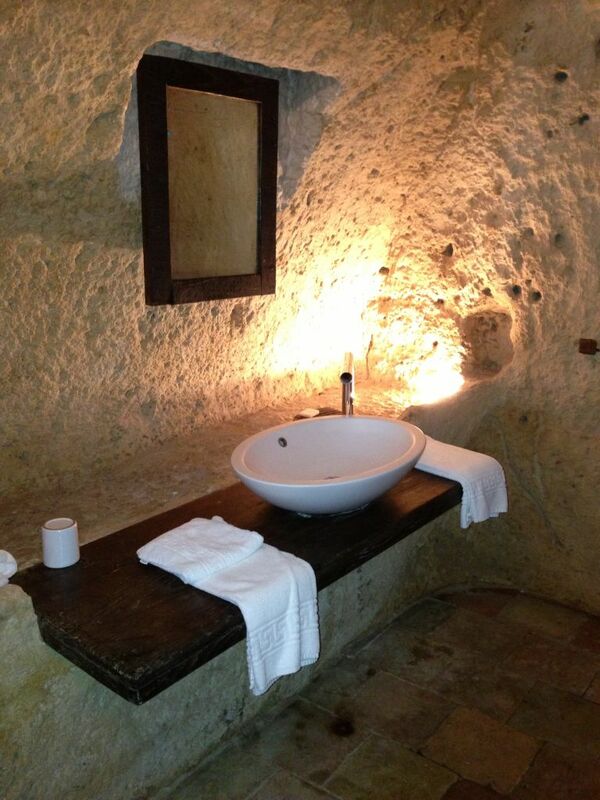 Hotel Sextantio offers you different kinds of stay: basic rooms, from 35 to 80 sqm, with shower or bathtub; over 100 sqm suites; a honey moon room, the only one on 2 floors, with bathtub inside a small and romantic cave with fireplace and an amazing view over the Parco della Murgia. 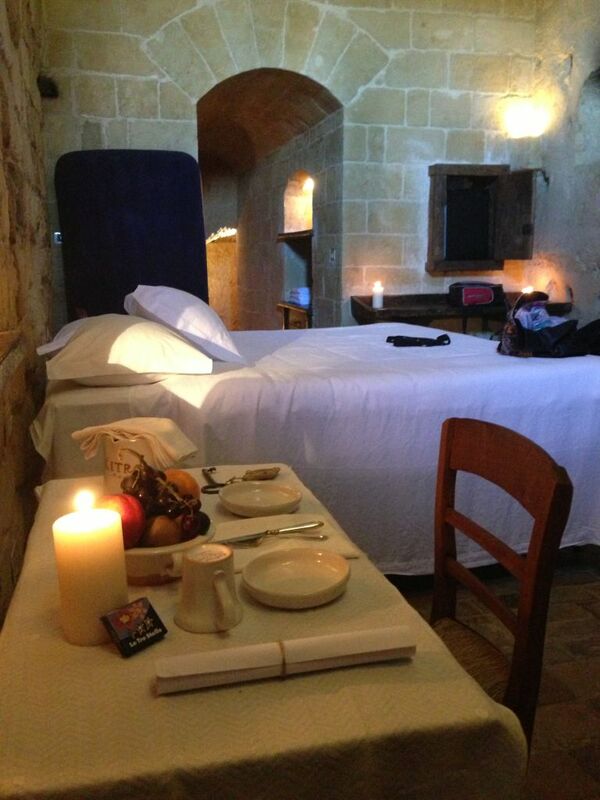 All the rooms are lit with candles, for a warm and cozy atmosphere. For the guests comfort, a Wi-Fi connection is available in all rooms. 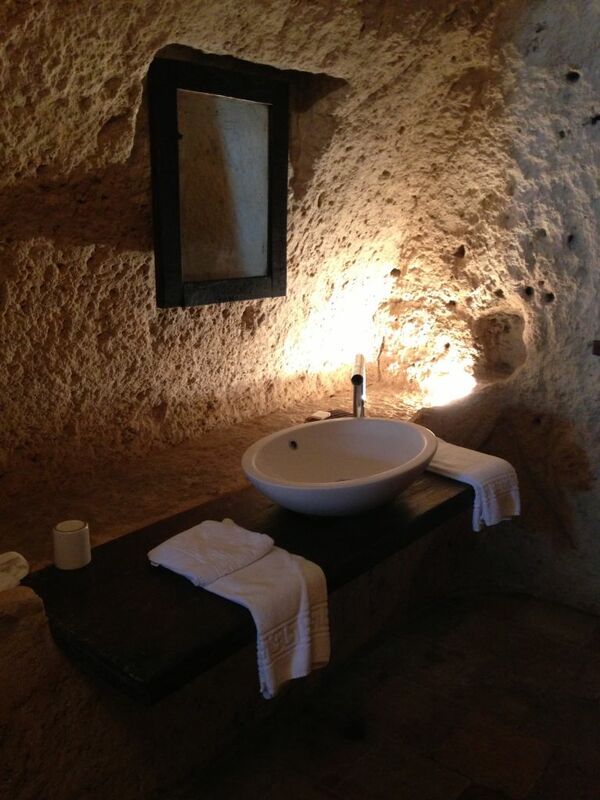 Air conditioning is also available in all rooms and it is important not only to give you relief during the hottest nights, but also because it helps with humidity: don’t forget that you are staying in a cave and there is no way to get rid of humidity. So, please, do not complain with the staff for this matter: it’s all part of the game. 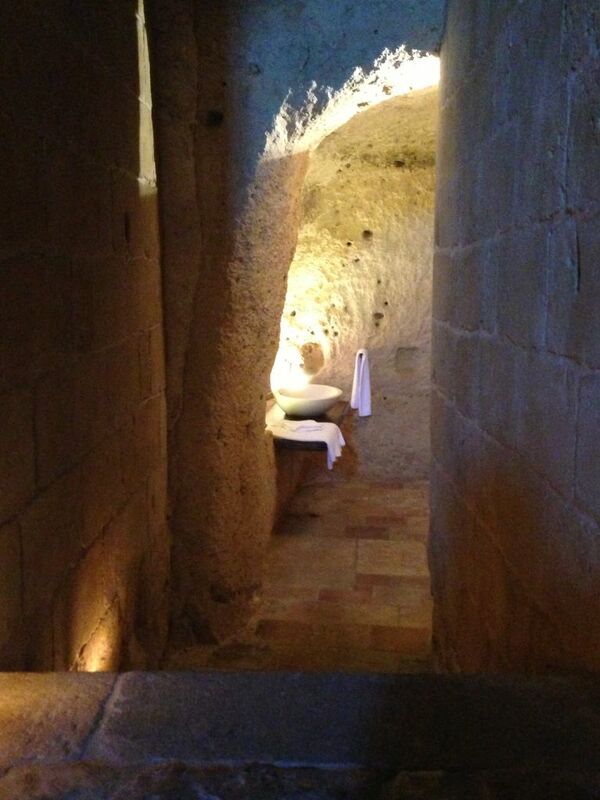 The breakfast room has been placed in a former church from the XIII century, so you can admire the naves excavated in the rock. Probably this part will surprise you as well: all the tables are original, as well as the linen table clothes. You can even see some mended holes on the clothes! 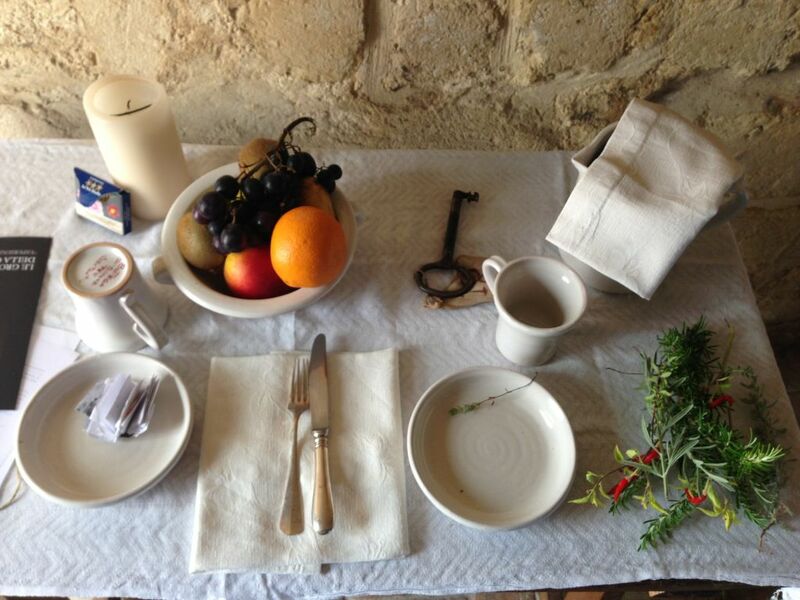 Breakfast is something more similar to a lunch: a long wood table is full of home made food: from cakes, jam and yoghurt, to cold cuts, focaccia ,mozzarella, burrata, ricotta cheese and other delicacies. Maybe you won’t be able to try all in one day, but there is enough food to jump your lunch and go straight to dinner! 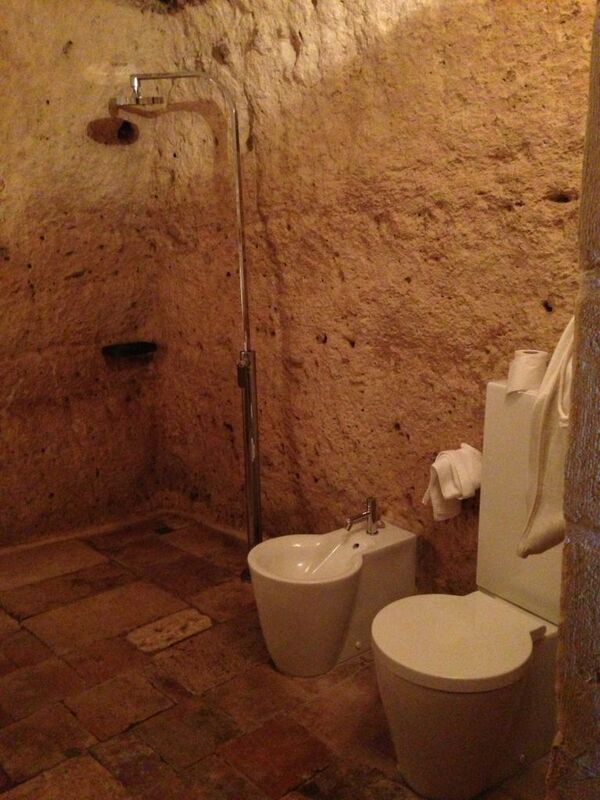 As we were saying this hotel is simply perfect for a luxury vacation. Maybe it’s not a hotel for everybody, being the price range quite high, but it’s worth all the money you spend, especially if you are staying there for your honey moon or to celebrate a special event. Once in a life, at least, we can get cuddled! Our tip: if you decie to spend your holiday at Sextantio, we recommend you to change your idea and vision of hotels: this is not an accomodation to sleep by, but it is a place to live in. You should appreciate it for its high standard comforts, as well as for it original features, although sometimes they may appear not adequate to our modern standards.